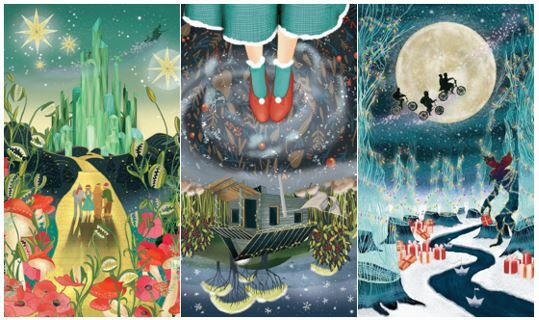 Put on your finest magic slippers and step into JOYCE Beauty’s magical Land of Oz this Christmas, where a strange, dreamy ambience blends with the nostalgic television series Stranger Things. Luxurious limited-edition beauty essentials for your gift list and your wish list lie amid a shimmering universe of Emerald City green, and the reds, greys and blacks of Stranger Thing’s sci-fi suburbia. 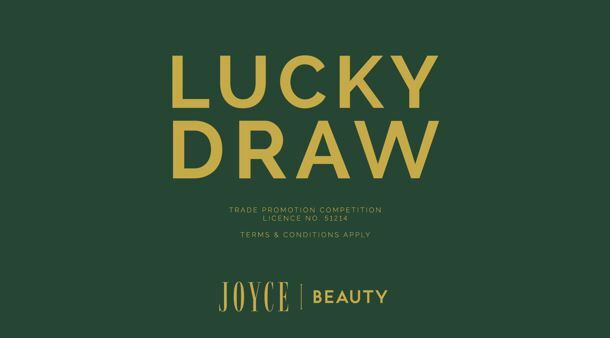 To celebrate Christmas, JOYCE Beauty runs a lucky draw from 8 November to 31 December 2018. With spending of HK$2,800 or more on regular-priced merchandise at any JOYCE Beauty or JOYCE Grooming store this holiday season, shoppers will be entered to win one of our amazing prizes, including a one-night stay at The Murray Hong Kong; a dining voucher for The Tai Pan or Garden Lounge at The Murray Hong Kong; a gift card for JOYCE Beauty, JOYCE Boutique, or On Pedder; a facial treatment package at JOYCE Beauty; and other festive treats. Browse our beautiful 2018 Christmas gift sets and limited-edition items below. The perfect gift for the multi-masker, this beauty planner loved by A-listers pampers and refreshes for party-perfect skin. Revive your post-celebration complexion with a coveted selection of state-of-the-art treatment masks that brings much-needed serenity throughout the silly season. 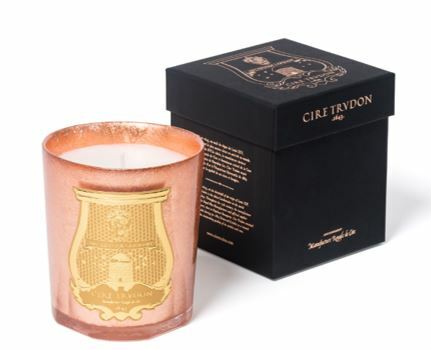 Bring a glimmer of pink gold to your Christmas décor with Cire Trudon’s classic fragrances – each preciously wrapped by hand with pink gold leaf just for this year’s holidays. A beautiful present for men and women, each candle has a burn time of 55 to 65 hours. 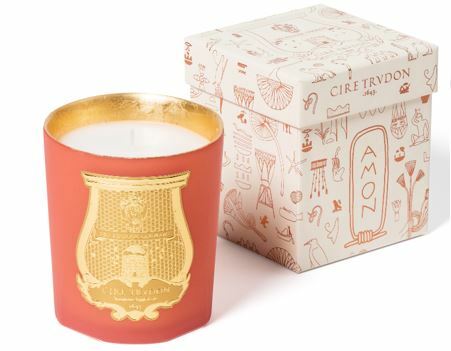 A stunning gift to light up anyone’s Christmas, this collection of perfumed candles channels the mysteries of Ancient Egypt in beautifully handcrafted boxes. With burn times of 55 to 65 hours, the warming scents comprise traditional incense, notes of papyrus, and candied firewood. Frederic Malle has gift-wrapped his iconic fragrances in vibrant hues – a striking homage to the perfumer’s remarkable ability to remember through colour. An innovative application of tinted resin brings the concept to life, splashing the bottles with daubs of translucent, jewel-like shades. The festive season is the perfect time to reset your skin with one of the world’s most advanced skincare technologies. 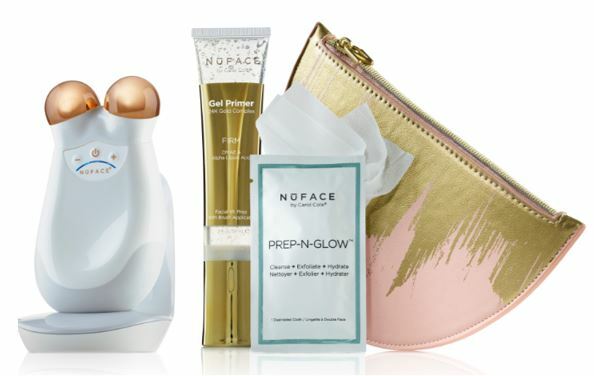 NūFACE has packaged a complete firming, toning, contouring and brightening facial regimen with its NūFACE Trinity – an award-winning microcurrent skincare device – complete with all the support products you need. 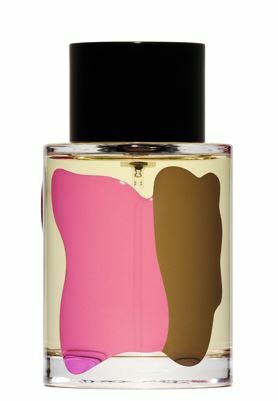 A spray of these limited-edition Queen of Hungary Mists will fill the air with magic this Christmas. Inspired by the architecture of Omorovicza’s luxurious Rácz spa on the site of a medieval healing spring, each beautifully coloured bottle with purifying and hydrating neroli and rose will refresh the skin and lift the spirits. Give any beauty junkie the ultimate anti-ageing present with the Blue Diamond Collection, inspired by Omorovicza’s Christmas journey across the Milky Way. Designed to reboot tired skin while promoting skin fitness, this luxe set features diamond peptides, polysaccharides and essential amino acids to instantly firm and transform the skin. Kick off a new-year cleanse with this powerful mask duo, gorgeously packaged with a seasonal starry sky. Deep Cleansing Mask uses Hungarian moor mud to decongest the skin, reducing pore size and clearing blemishes. Ultramoor Mud Mask provides an instant lift and tackles dull skin for a more youthful-looking complexion. 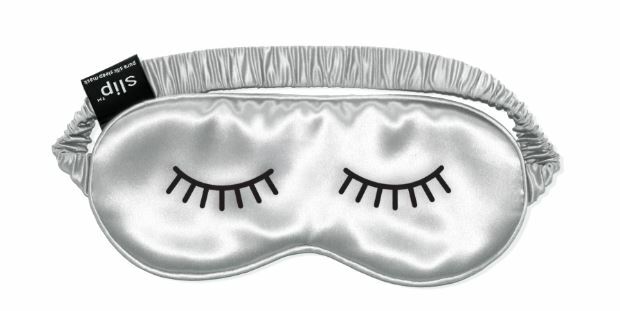 This lush eye mask by Slipsilk is the cutest stocking filler or secret Santa gift, or your pass to uninterrupted beauty sleep for a post-Christmas detox. Using the highest-grade long-fibre mulberry silk, these masks were developed over ten years to provide maximum shine, thickness, softness and durability. 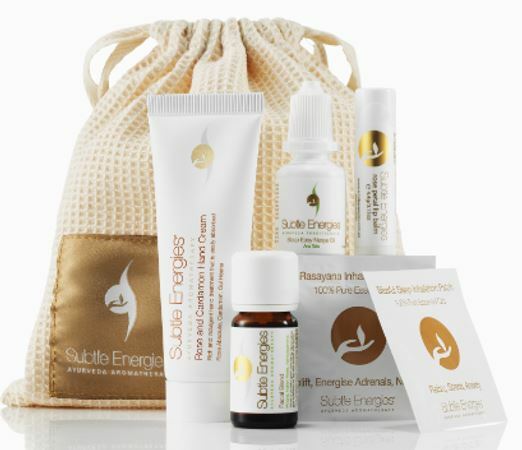 Frequent flyers and those crossing continents this Christmas will covet this potent and pampering flight-care kit. Centuries-old Ayurveda principles, active aromatherapy, and powerful ingredients target every stage of flight to keep your skin hydrated and protected – from sleep, to awakening, to jet lag. 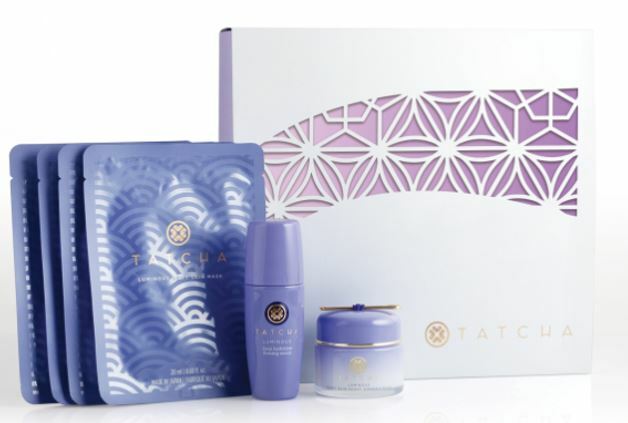 Tatcha’s holiday collection pays tribute to the delicate Japanese art of kumiko woodworking, which beautifully illustrates how home is where we feel most connected to one another. This pleasant holiday principle encases a trio of full-sized, hydrating treasures for softer, smoother and more glowing skin.